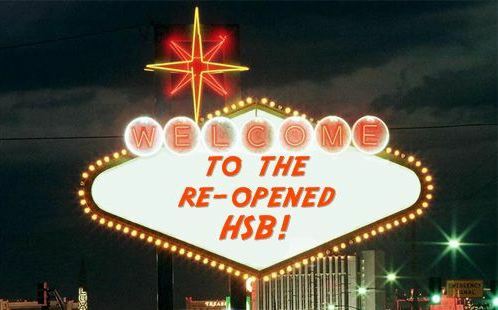 Whew – after 2 weeks of staring at code, cleaning the old database and installing the new build – the new HSB site is live! There are still bugs to work out and clean up – but we are fully up and running. Syndicated Blogs: If you have a spicy foods blog – contact us using the blogger form and we’ll add you to the list of sites. Syndicated sites stream at the top of every page and are listed in the Bloggers section of the site. Each listing clicks through to your site so you get maximum publicity. Not all feeds can be accepted (if your feed is broken for instance) – but we’ll endeavor to try to get it in. New navigation: From the old site, all the navigation has been updated and all posts have been re-categorized and tagged. For example, if you are looking for something that was written by CaJohn or about one of his products, you can find it here. Not all of the old posts were 100% categorized correctly – but it’s pretty darn close. Reviews: Not all of the old reviews had been moved over to the new format – and I doubt they all will – but moving forward, all reviews will be similar to the Torchy’s Taco Hot Sauce review – with ingredients, maker and retail information up front and center – along with the rating information at the top. There’s a ton more that’s new – but you can see that by just looking around. We’re glad to be back and in business – and would love your feedback on the new site. Thanks to the “warm” welcome Parker! Its nice to have the Blog back again, its been too long!! !